Sorghum, millet, and maize have been used for centuries in the production of fermented beverages by African indigenous populations. The name of this product varies between region of production. 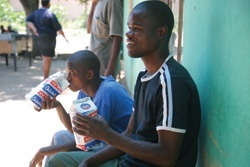 Chibuku, Pito, Bouza, tchakpalo, and “kaffir” beers are recognized as similar and are produced in a similar fashion. There are many inherent differences between these beers and the hopped beers popular in Western countries. Most tend to be reddish brown in colour with a heavier mouthfeel due to suspended yeast particles in solution. There are distinct geographical differences between beers, as each region may used different malt and starch combinations. Unlike any beer you've had before. Maybe not in a good way. 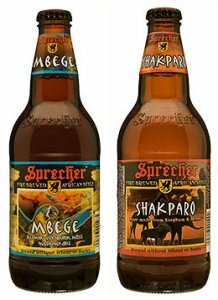 The Sprecher brewery out of Milwaukee produces two products that are comparable to African styles, but have been met with little praise from consumers. Mbege is brewed with bananas, consistent with the East African style. It is similar to a Belgian-style lambic in flavor, fruity and acidic with citrus aromas. In contrast, Shakparo “fire brewed ale” is brewed in the West African style, and more resembles a cider or full-bodied wheat ale in flavour. Want to find these in Canada? Good luck. Sorghum malt beers have become popular in Western countries due to the absence of gluten proteins in the grain. The absence of gluten increases the variety of beverage options for those with celiac disease or gluten intolerance. These beers however, are produced to mimic the taste of barley malt beers, and have little in common with African styles. New Grist and La Messagere are two Canadian varieties that serve as analogs to hopped Western beers. 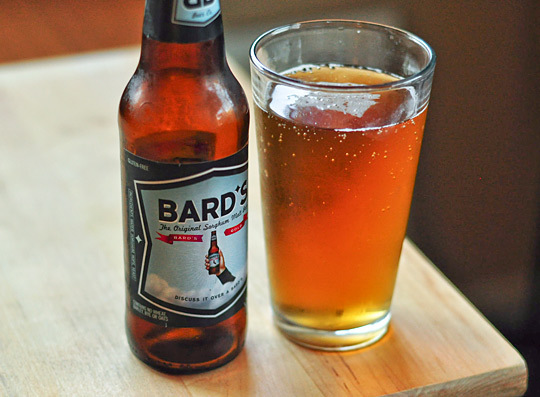 Bard's is another popular American brand, produced primarily for individuals who suffer from celiac disease and gluten intolerance. Unfortunately, gluten free beers leave something to be desired for flavour, resembling big name lagers like Budweiser and Coors. They tend to be lighter in body and have a milder hop profile than more flavourful craft beers. There are also no dark beers available yet, due to the availability (or lack thereof) of roasted sorghum or millet malts. With any new technology, there’s always room for improvement. Adding a starchy adjunct may improve the body – oats do not contain gluten naturally, but are often contaminated during processing. Who knows, maybe we are soon to see a gluten-free IPA with a heavier hit of Columbus or Cascade. This is definitely a lucrative project for a brewmaster who wants to change the game.